MikeGolf: Not propaganda at all, drones are a real threat to helicopter safety. DroneFan: When's the last time one or any rc aircraft struck a manned vehicle? 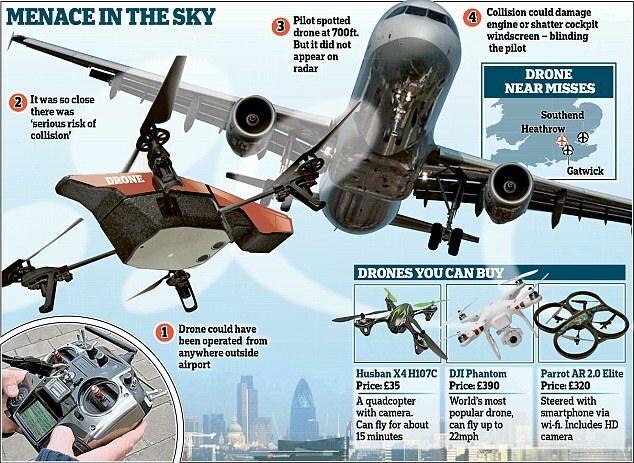 MikeGolf: It's just a matter of time before it happens, with so many drones in use. They can do just as much damage (or more) than birds. DroneFan: I'm well aware of the damage they can cause and the rise of their popularity. But pilot error has and will continue to cause more fatality in hems than drones. MikeMike: ... you're correct. Thats why we, as a 135 operator took steps aimed at preventing common causes of accidents, such as implementing our IFR program, AMRM training, etc. So you are saying the industry should ignore newly identified hazards until they kill someone? If you are well aware of the damage they can cause, then it's hardly "propaganda" to try and get out in front before they cause an accident. DroneFan: nope, saying that it will never be as big of an issue as pilot error, erroneous flights or mechanical, and that the issue is being inflated beyond the (non) issue it currently is. Bird strikes seem like a much larger concern, maybe we can get a government agency to move their migratory patterns or have a chip installed to make sure they fly below 400' agl. I am all for safety I really am... but this whole situation is being blown out of proportion. Yes the ability for anyone to pretty easily put an object in the way of an aircraft is scary... I get it but RC airplanes and helicopters have been around for years and I haven't seen an epidemic of collisions. MikeMike: RC airplanes aren't the problem. All of the RC hobbyists I know spend a significant amount of time and treasure on their passion, and aren't the ones who'll end up trying to become a youtube star by filming an accident scene or whatever. It wasn't an RC model airplane I flew past inside of IAH's Class B at 800'. I don't worry about them. It's the owners who either don't know, or won't abide by the rules. Like you said, it hasn't happened yet, but in just about every HAA pilot you talk to's opinion, its just a matter of time. DroneFan: Well, as a "hobbyist" and someone who has a vested interest in "drones" I hope there is an amicable resolution at hand. I am very responsible with what I am flying. And I know there are bad apples but as a whole the industry is not bad and the people who are involved care about our image. Your everyday Joe buying one off the shelves and being dumb is where the problem lies... but we aren't all bad, In fact the units I fly wont even engage motors within 2 miles of class B and restrict height and flight based on class B and GPS... Bad press is bad press and every industry deals with it... I wont fuel the fire when the cameras are focused on yours. MikeMike: It's sounds to me like you and me (and the majority of my coworkers) are on the same sheet of music here. I had no idea about those kinds of capabilities. Maybe you and your fellow enthusiasts could reach out to the public and/or press? It's not guys like you that worry the commercial aviation industry. And you're right, there are bad apples in all walks of life, and two (or more) sides to every story. DroneFan: We have, so has our industry. I have filed for my 333 not that it will change the way I fly but I want to be a good representative of the industry. I honestly don't know what the solution to anyone flying anywhere... maybe they all need to squawk something but even then... they are small fly far and fly fast... I would love to see some actual testing done with rotor wash... Id be willing to bet most of the hobby sized "drones" are no match and will be moved away from the AC long before its an issue... my 4' octo frame on the other hand wont... but then again its also a whole lot easier to see. So, what do you think? We at HelicopterEMS.com believe (strongly) that the explosion of drone popularity and use has gotten ahead of the FAA's ability to comprehend and cope with the ramifications. 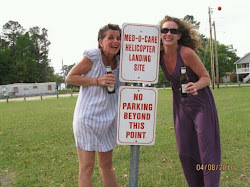 RC pilots tend to be responsible and rule-following. Drone stunts are all over Youtube, and cause for real concern. Perhaps if we had more discussions like the one above, between manned aircraft pilots and UAS (unmanned aerial systems - what the FAA calls drones...) pilots we could eliminate some of the hazard. I just heard about a flight getting refused for thunderstorms in the forecast. The flight was a short one, perhaps 20 minutes, the current skies were clear, and the request came in just prior to shift change... A revenue chance was tossed aside. In the summer, thunderstorms are almost always a possibility. If we use weather as an excuse when weather is not a problem, we will teach management to distrust us, and all weather refusals will be suspect. This will result in pressure to fly and will end up getting someone hurt. I understand, to a point, why some folks may have thought a website like this is necessary. People were trying to decrease the accident rate within our industry. Unfortunately, only training and good decision making will reverse that trend. I personally do do not use this site. I prefer to evaluate the weather Based on my 20 plus years of local and professional knoledge. The shopping has not stopped. My own company has a Comm a Center that shops. The "weather turndowns" are not always based on weather Some folks just don't want to fly and will look for any excuse not to. Some folks find it is a non-paying patient and just use the weather as an excuse. Yes, pretty bad, but it happens. I don't want to wade through that crap during my assessment. I have many more important things to do before a flight or during my assessment to take a flight than to sign on to a website to see what folks in my region are doing. My comm center will pass along known turndowns anyway which I take with a grain of salt due to above mentioned reasons. 1. Learn to make your own weather decisions. If you can't do that, find another line of work. What if YOU are the first aircraft called? 2. Learn that weather decisions are not "one and done". 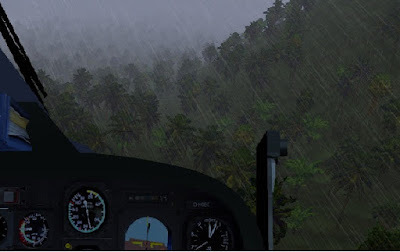 Weather is something you should be evaluating throughout the flight. Learn how to make weather decisions in flight, if necessary, and have a plan in case you need to deviate, get an IFR clearance, turn around, or land. "Copter shopping" - I never worry about being the second, third, or tenth person called. Why? Because I can make my own weather decisions. I might be able to take a flight that someone else turned down "for weather". It might surprise some people, but not all weather turn downs are actually "for weather". There are VFR only programs out there who have higher weather mins, and for whom IFR is out of the question. There are people (and sometimes entire programs) out there that are IFR INO (IFR In Name Only). What is actually plain vanilla IFR is still very intimidating to some. 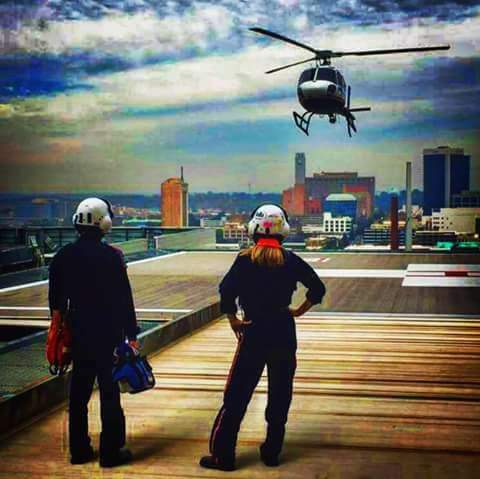 A day in the life of a medical flight crew. This was our project for the Air Evac video challenge. Question: What effect do the transition areas (magenta shaded) that you will fly through have on your weather requirements? Note: In transition areas, controlled airspace drops from the "standard" floor of 1200 feet above-ground-level (agl) down to 700 feet agl. This allows for instrument approaches in controlled airspace by pilots/aircraft flying on instrument flight plans. At least down to 700 feet agl. The minimum descent altitude for many non-precision (no glide slope) approaches is 600 feet agl. 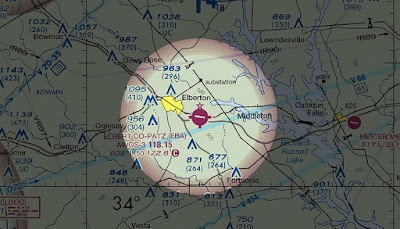 The floor of the transition (controlled airspace) area is 700 feet. There is a 100 foot thick "gray area." An aircraft could be on approach, in the clouds, and in uncontrolled airspace in the transition area. 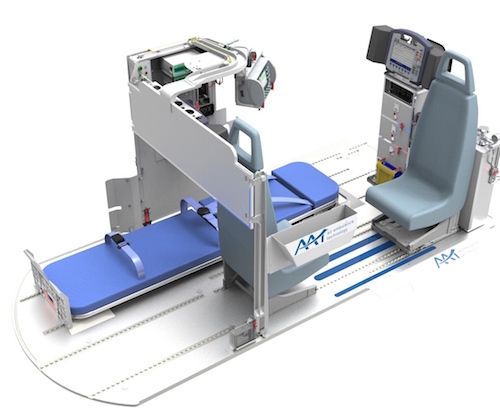 Ready to upgrade your aircraft's medical-interior? Perhaps you should think outside the box. Air Ambulance Technology (AAT), the Austrian based specialist for customized EMS, VIP and Mission Intereriors for helicopters and fixed wing aircraft, recently received an FAA Validation for its successful AW 139 interior solutions in quick change configuration. The validation was granted based on an earlier issued Supplemental Type Certificate (STC) from EASA and covers a multitude of cabin layouts including EMS, SAR and Special Missions. The spacious cabin of the AW 139 allows a high degree of flexibility and in combination with AAT’S unique quick change system (no modification to the helicopter required) and customization the helicopter is turned into a true multi-mission aircraft. Air Ambulance Technology already holds more than 30 STC’s from EASA and other aviation authorities and is looking forward to receiving more FAA validations in the coming months. 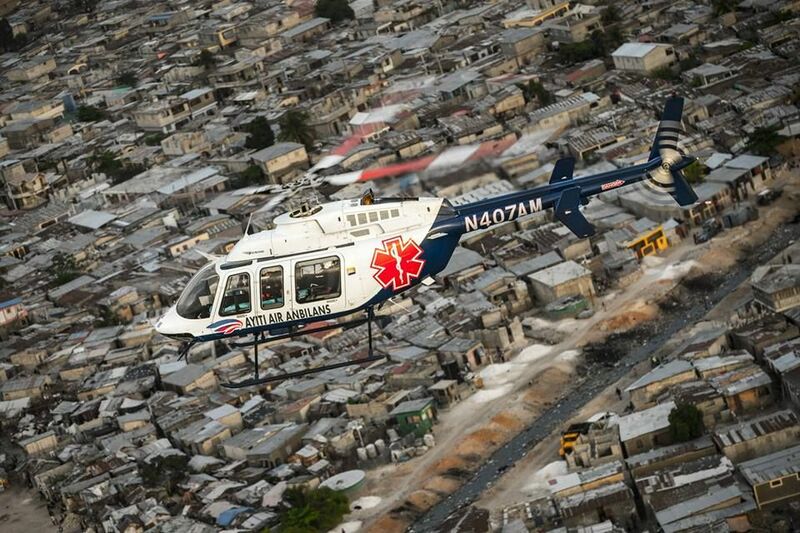 To learn more about Air Ambulance Technology and their products, click here. Synthetic vision technology comes to small helicopters... The ability to "see" in degraded visual environments is here. 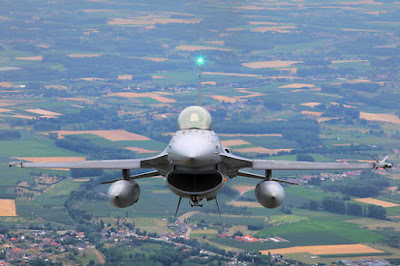 Not long ago, an F-16 straight-up ran-over a small aircraft between Charleston, SC and Shaw Air Force Base. It wasn't a mid-air collision, it was a smackdown in the sky. 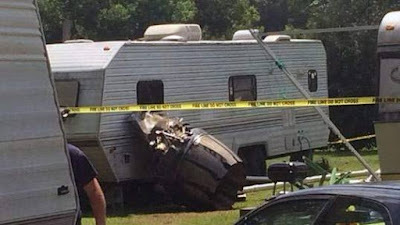 One can only hope that the folks in the Cessna were knocked immediately senseless and weren't awake for their final approach. The folks in the Cessna never saw the jet coming, for good reason. "Fast-Movers" or military jet aircraft on "military training routes" are not subject to the national aviation speed limit of 250 knots (below 10,000 feet above mean sea level), which is still fast in our eyes, and can be screaming across the tree-tops at speeds up to 420 knots. Now we don't want to sound alarmist, or be overly dramatic, or create a solution looking for a problem; but we also didn't know that freezing rain dropping through the engine inlet barrier filter on an Astar could create invisible icicles that could drop into the engine and cause it to quit - until it happened. We like to consider hazards before the crash vice after. So, what about these "military training routes?" Are there any in our vicinity? Probably. Do military aircraft fly on these routes at night? Yes. If they are flying in formation, at least the trail aircraft should have lit position lights and anti-collision strobes on. The leading aircraft(s) may be flying "dark" to avoid shutting down trail's goggles. Are they active while we are flying? Maybe. They call into and out of routes on ATC or flight service station frequencies 122.2 is the universal/common flight service station frequency. We have heard fast-movers call into a route on this.. Flight-following with and being on some ATC radar will help. Even an air-route-traffic-control-center controller will flight-follow with you if she isn't too busy and you are high enough for her radar to see you. How far from the line on the chart might a jet be cooking with kerosene? 5 miles either side. Think Russian Roulette with a barrel 10 miles wide. Is a military jet pilot on a "IR" or instrument training route even looking outside? Maybe not, he or she may be "heads down." And by-the-way, C-17s use these route too. Can we deconflict by altitude? Maybe, MTRs with a 4 digit ID are supposed to be flown at less than 1500 feet above the ground. 3 digit routes have at least one segment above 1500 feet. Visual routes can only be used when the ceiling is greater than 3000 feet above the ground. A good technique might be to pull out a sectional aviation chart at your next briefing and discuss how the routes conflict with the routes YOU routinely fly. 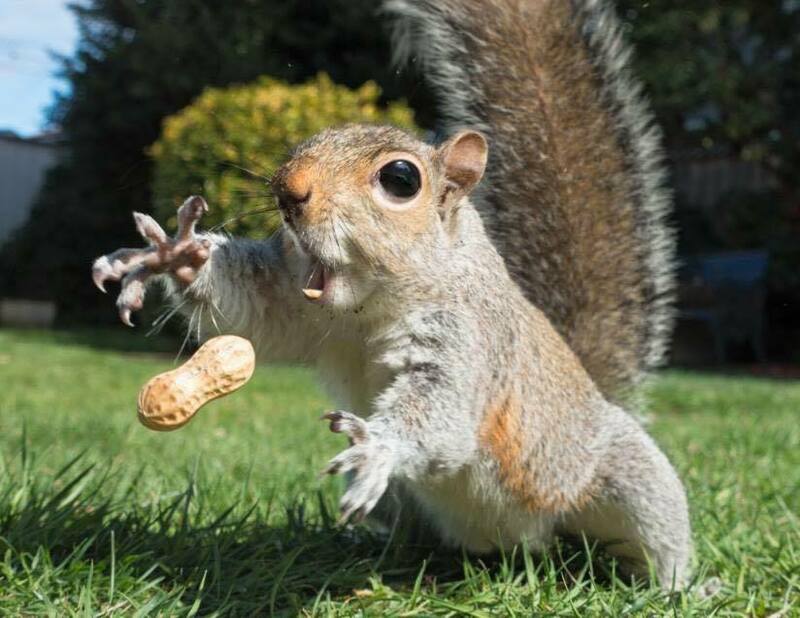 And remember, "heads on a swivel when flying." Enroute Decision Point... The video tells the story. Special thanks to Miles Dunagan, NEMSPA Board of Directors, and Allianz Insurance for financial support. Instrument flight in a Single Engine Helicopter? You are returning to your hospital at 3:30 in the morning, with a crew and critical patient on board. As the patient's condition deteriorates, so does the weather around you. Although your forecast was for good weather, it was wrong. You can read an industry white paper on this topic by clicking here. "The Associations’ position is that it is natural for the Part 27 single-engine rotorcraft community to want to have IFR capability and be IFR current – if it is affordable. Most helicopter operations are commercial, and being limited by weather prevents the rotorcraft from being consistently employed. Contracted services currently pressure operators into “pushing” the weather situation. The situation is especially difficult for EMS and public operations where it is known lives are in the balance with the weather decision. The Associations feel it is the FAA’s duty to the rotorcraft industry to provide a practical option for IFR conditions other than “don’t fly” – especially when that practical option previously existed. 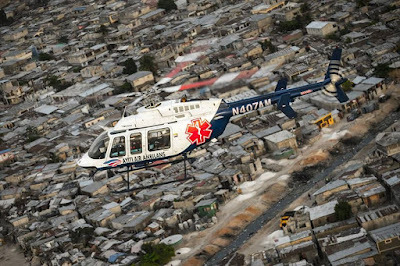 Once Part 27 single-engine IFR becomes viable, it will be demanded by hospital organizations as a condition of EMS contracts - much in the way IFR capability is a demanded today for twin engine rotorcraft in EMS. 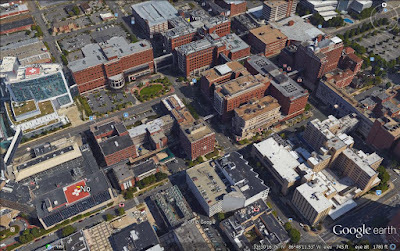 The safety, liability concerns, and expanded usability will produce the demand." An instructor conducting AMRM training seeks to have a picture painted. But for a class to be really good, the people in the room must do the painting. I was corresponding with my friend Randy Mains recently about AMRM training. 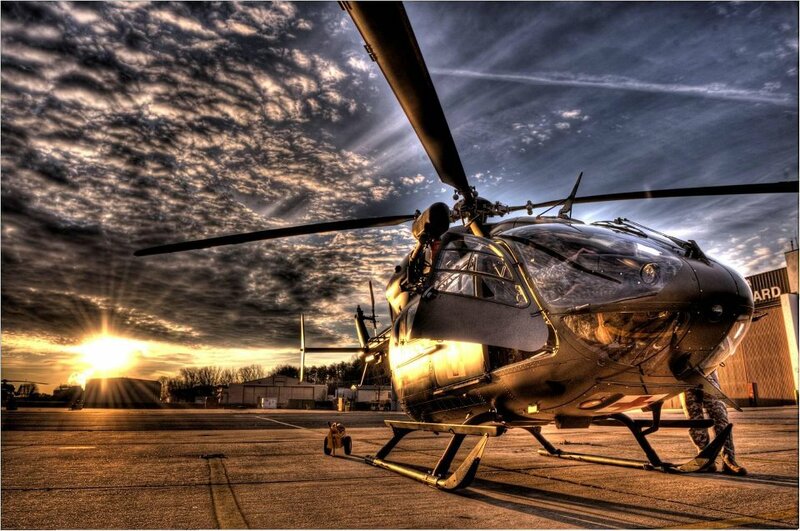 Air Medical Resource Management has it's roots in studies conducted in the 1950s on group dynamics. The airlines adopted Cockpit Resource Management training after some horrific events that killed hundreds. In time, they recognized that the entire flight crew has a part in what happens on an aircraft, and the name, and focus, were changed to "Crew" resource management. Randy and I adhere to the idea that everyone in our organizations, from com-specs to security guards to flight crews to the CEO...Everyone affects the outcome. I think the world of Randy and enjoy our talks and messages back and forth. 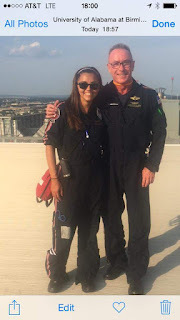 Randy conducts week-long training sessions for aspiring AMRM instructors, to prepare them to go out into the HEMS world and spread the gospel of staying alive by working together. Ninety percent of every dollar we spend on training goes towards technical proficiency. Ninety percent of our crashes have nothing to do with technical proficiency. They involve what is going on between someone's ears as a bad situation develops. A dime spent on AMRM training is a dollar well spent... Even without the FAR requirement, even without the CAMTS requirement, it's the right thing to do for your people. As fellow AMRM instructor Jonathon Godfrey pointed out, you can't tell people how to think and feel about things. They draw their own conclusions based upon what they experience. The student's own experiences are key to this effort - this shaping of good attitudes that lead to good behaviors, good decisions, good outcomes. My inner voice said, "shut up Dan and sit down..
You see, your program's near-miss, accident, event etc... discussed openly and honestly - without fear of ridicule, embarrassment, or adverse action - will resonate more effectively with your team than any story about some stranger who made a mistake. I let you teach me about your event. What it means. How it happened. How we learn from it, and never repeat it... Most of my material comes to me from the people sitting in my classes. As I tell my friends in class, "the person who will prevent your next fatal crash is sitting in your seat right now..."
This training is about humans, (we make mistakes) and it doesn't work when it's conducted by computers... 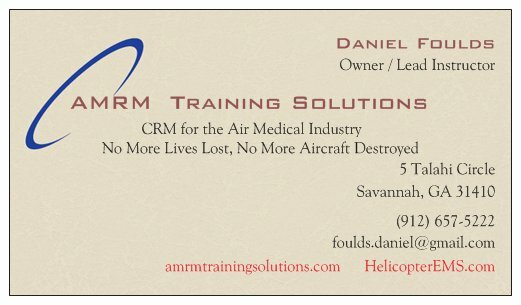 I urge you to have AMRM training for your team using a group setting and a dedicated instructor. I almost embarrassed myself last Sunday. We were flying a crash victim from rural Alabama to Birmingham, a place I have been to before. In years gone by I have flown out of Birmingham's old Caraway hospital, and have been up to Birmingham from Auburn and down to Birmingham from Huntsville. So I wasn't too concerned about flying into Birmingham. I could have used Google Earth on my smartphone to look at the lay of the land before departing the pickup location, when spare time was abundant. I could have found some visual checkpoints to make sure that I knew exactly where we were to land. But no. So as we approached the University of Birmingham's sprawling campus with multiple tall buildings from the east, a new way in. I set about finding this helipad that I had flown to before, with eyeballs darting to and fro. My eyes quickly locked onto a beautiful red and white rooftop pad. A part of my brain said, "got you!" So I said, "okay, I see a pad." Then I did something right (even a blind squirrel gets a nut once in a while). I asked the crew - Steve and Rebecca - for assistance and confirmation. After all, crews at bases are much more familiar with the area of operations than a relief pilot who shows up once in a blue moon. "okay, is there more than one helipad here?" "Yes, there are three" she said. I said, "are we looking for that other one on the big mirrored building?" 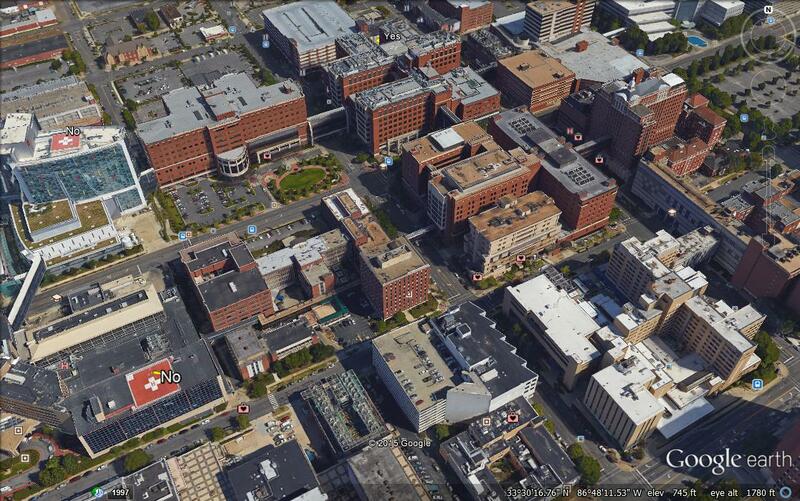 Rebecca said, "no, that's the children's hospital, ours is over to the right more." We landed without incident, at the right place. Click image to enlarge. UAB pad is top center. The pilot reported that, about 10 minutes after departure, he noticed the illumination of the low engine oil pressure warning light. He noted that the oil pressure gauge was also showing low pressure but that there was no rise in the oil temperature or the exhaust gas temperature. Because the pilot had recently experienced an intermittent oil pressure gauge problem in another helicopter, he assumed the accident helicopter was experiencing a similar problem and continued toward the intended destination while attempting to verify the loss of engine oil pressure. Several minutes later, the pilot noticed a low-torque indication but no rise in the oil temperature or exhaust gas temperature. About 25 minutes after departure, the pilot saw a rise in the exhaust gas temperature and lowered the collective to reduce power. After briefly decreasing, the exhaust gas temperature began rising again, and the pilot located an open field to perform an off-airport landing. The engine experienced a total loss of power before the helicopter reached the open field; the pilot performed an autorotation, and the helicopter landed hard. Postaccident examination revealed that the engine oil tank was empty and that the engine had sustained heat damage consistent with overtemperature due to oil exhaustion. An obstruction of solidified oil carbon was found in the rear bearing chip detector housing union, which would have restricted the oil scavenge of the rear bearing. According to the engine manufacturer, failure to scavenge the oil in the rear bearing would cause overpressurization of the rear bearing housing area, which would force engine oil out of the rear bearing vent line. In addition, oil overpressurization could overcome the labyrinth seal of the piston shaft, which would allow oil to flow into the gas exhaust path. It is likely that this occurred because oil flowing into the exhaust path would result in black smoke coming from the engine exhaust as was observed by the witness. The continued operation of the engine in this condition likely resulted in the depletion of the oil reservoir, the illumination of the low engine oil pressure warning light, and, subsequently, as the flight continued, a total loss of engine power. A review of data recovered from a flight recorder installed in the helicopter indicated that, about 2 minutes after departure (about 26 minutes before the accident), the oil pressure dropped from about 4 bars to about 0.2 bar, which would have illuminated the low engine oil pressure warning light. The flight manual and the cockpit emergency checklist both directed that, when the low engine oil pressure warning light was illuminated and the engine oil pressure gauge indicated low oil pressure (as reported by the pilot), the procedure was to land immediately. If the pilot had followed this procedure instead of continuing the flight with the warning light illuminated, it is likely that the accident would have been prevented. 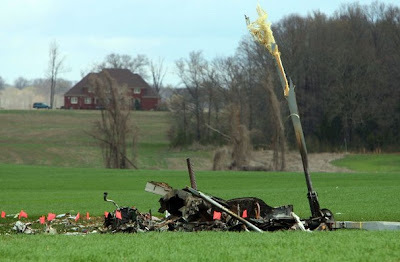 Review of the helicopter’s maintenance records indicated that, about 12 flight hours before the accident flight, the engine’s 2nd-stage turbine disk (T2) was replaced. During the replacement of the T2, the maintenance technician determined that the rear bearing was “clean”; therefore, he did not clean the rear bearing even though the maintenance procedures required a systematic cleaning when the T2 was replaced regardless of the condition of the bearing. If the cleaning had been performed, as called for in the maintenance procedures, it is likely that the oil carbon deposit in the rear bearing chip detector housing union would have been discovered and removed, thus averting the accident. The pilot’s improper decision to continue flight with a low engine oil pressure warning light instead of landing immediately in accordance with the flight manual emergency checklist. Contributing to the accident was the maintenance technician’s failure to clean the rear bearing in accordance with the engine manufacturer’s guidance when replacing the 2nd-stage turbine wheel, which resulted in an obstruction of solidified oil carbon in the rear bearing chip detector housing union, subsequent oil exhaustion, and engine failure. Reassembly complete...Now what about these extra parts? On November 9, 2013, about 1245 central standard time, a Eurocopter Deutschland GMBH EC135P1 helicopter, N911KB, impacted terrain near Shreveport, Louisiana. The commercial pilot and two company mechanics sustained minor injuries and the helicopter was substantially damaged. A review of the helicopter's log book found an entry dated October 31, 2013, that a mechanic performed the action "disassemble, inspect, and reassemble tail rotor pedals". According to a statement provided by the company's director of maintenance, after the accident a search of the area maintenance area was conducted. 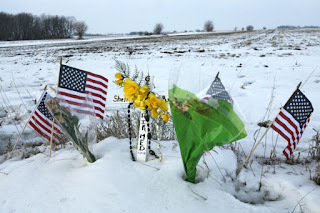 Near the area where the helicopter was previously repaired, a small parts bag was found tied to the tail rotor control cable that had been replaced. Inside of the bag were bolts similar to the bolts used to secure the anti-torque pedals. Complacency can bite any of us on any given day. Consider your strategy to break error chains. "second set of eyeballs," CYA checks, tool and parts inventory post-maintenance... Are there chinks in your armor? Okay, we get the fenestron... increased safety. Using the nation’s first full-motion simulator built in an actual helicopter specifically for a flight-nursing program, our students learn what it's like to provide critical care in the air—while staying on the ground. Learn more at http://flightnurse.case.edu/.